James Dyak of Human Resources Dimensions, Inc.
James (Jim) Dyak, SPHR, is Managing Principal of Human Resource Dimensions, Inc. Prior to founding Human Resource Dimensions and acquiring the assets of RA Clark Consulting in Atlanta, Georgia, Jim spent six years with CH2M HILL in South Florida, Beijing, PRC, and Atlanta, GA. Jim’s roles with CH2M HILL ranged from Vice President and Area Manager in South Florida to Northern Asia Business Manager responsible for all shared services in China, including Hong Kong, Taiwan, Japan, and Korea. Jim was Chief Administrative Officer and Board member of Gee & Jenson Engineers-Architects-Planners, Inc. prior to its sale to CH2M HILL in 2002. Prior to Gee & Jenson, he held positions with MSE Corporation and Public Service Indiana in Human Resource Management. He began his professional career as a Staff Psychologist after receiving his Bachelors degree from the University of Cincinnati and graduate degree in Industrial Psychology from Rensselaer Polytechnic Institute. 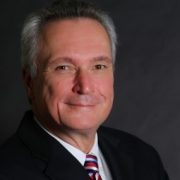 He has been an active member of SHRM for more than 25 years, serving on both local and national committees and boards. Jim is lifetime SPHR certified and is currently on the SHRM Global Panel. Through 2009 he served on the Atlanta Worldwide Employee Benefits Network steering committee and as the Vice President for Volunteer Opportunities and Placement for the SHRM Atlanta Chapter. He is currently a Board Member and Treasurer of the Georgia Association of Personnel Services (GAPS).